Even though innovation and invention sound same, there is much dissimilarity between them. Innovation relates to novelty and modernization whereas invention relates to creation of something new. Innovation leads to creativity and this can be applied to various aspects of life, right from industries to personal management. If we take the case of invention ‘“ companies are patenting their inventions for one reason, which is to prevent the misuse of their idea. Some people actually innovate and make efforts to achieve their dreams. These dreams when turned into reality had huge impact on the world. Hence, they should be given the due credit and people who are behind them should be able to capitalize on it. It was their innovations which led to the inventions, which were then patented. Therefore innovation is more important than invention or the inventor, who may invent something that is of little or no use. Invention is transformation of novel notions into substantial ideas. On the other hand innovation is about making these reach the end user or making them marketable. Invention is something fresh and not known to the world yet, while innovation may be new to the industry or an organization, but it may not be new to the world. Invention is practical and can be assessed or felt by the people. On the other hand innovation is a modern idea which can be applied to the present situation. According to a school of thought, innovation is invention plus exploitation. Innovation is about taking a tangible thing and then applying it in new and pioneering ways. We can also say that when an idea for making a new product or a process first occurs, it is innovation, while invention is the primary attempt to bring that idea into practice. Invention’s concern is a singular product or process, but innovation involves an amalgamation of various products pr processes. For example the basic invention of MP3 player wasn’t new, but the development of iPod which was a mixture of aesthetics, ease of use and graceful ergonomics, was truly innovative. Yet another example is the IBM PC. When IBM PC came into the market, there were no new inventions involved because the team involved was asked to deliver within 18 months without inventing anything new. So, the company focused on innovative ideas and created a PC that was an innovation in its own. 1. Innovation relates to novelty and modernization whereas invention relates to creation of something new. 2. Innovation is invention plus exploitation. 3. Invention’s concern is a singular product or process, but innovation involves an amalgamation of various products pr processes. Manisha Kumar. "Difference Between Invention and Innovation." DifferenceBetween.net. 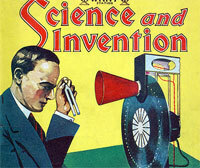 December 14, 2009 < http://www.differencebetween.net/language/difference-between-invention-and-innovation/ >.